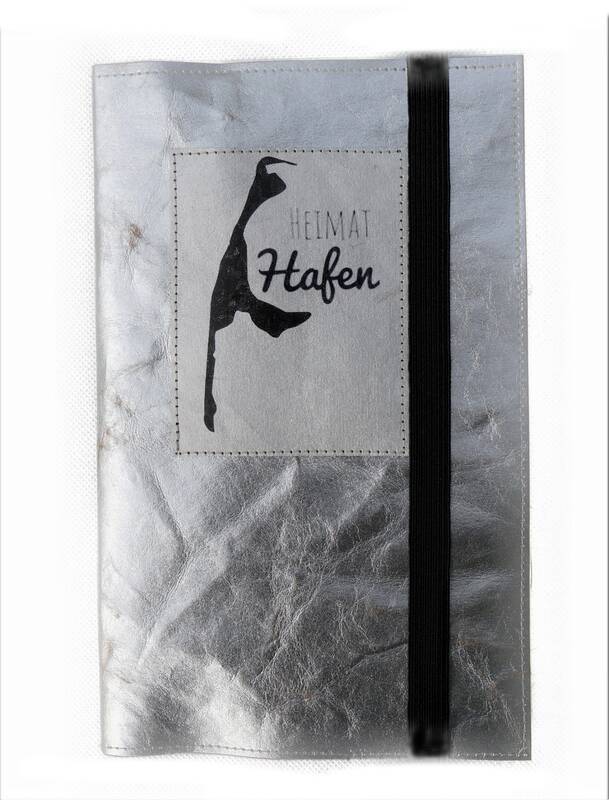 Silver Travel case for Sylt fans. 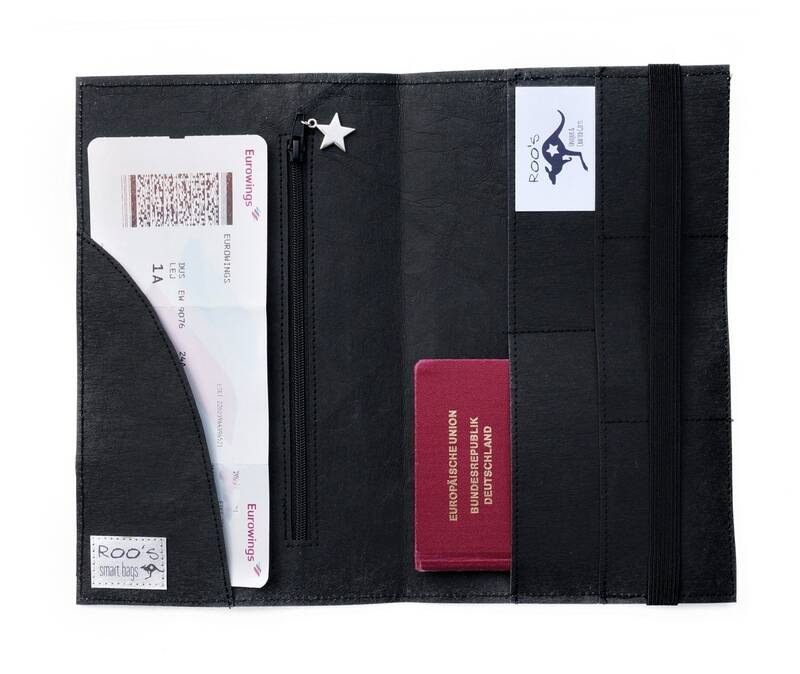 This handy folder for travel documents made of washable paper or vegan leather has room for 2 passports, cards, boarding passes and a separate zipper compartment for money. The binder is closed with a 15 mm wide black rubber band. 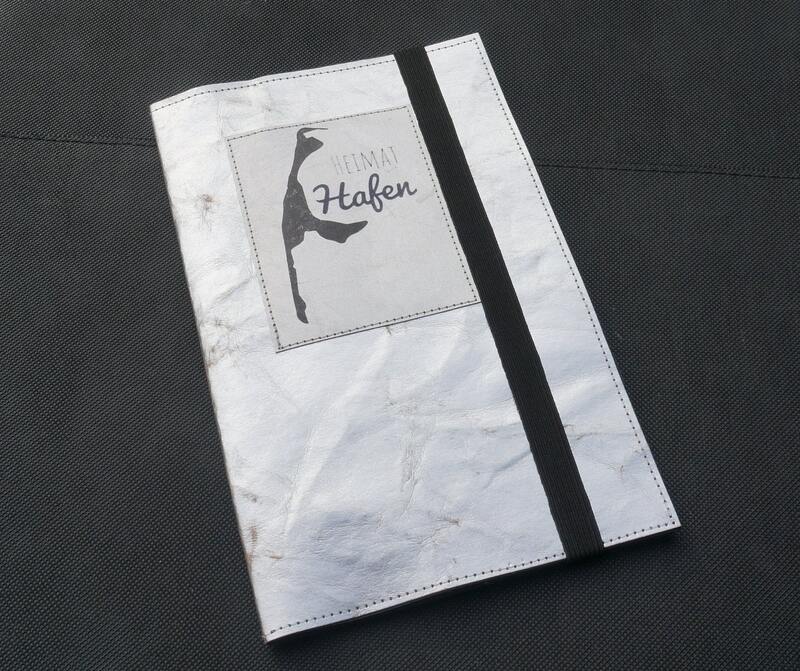 Outside is the folder made of silver washed washable paper. 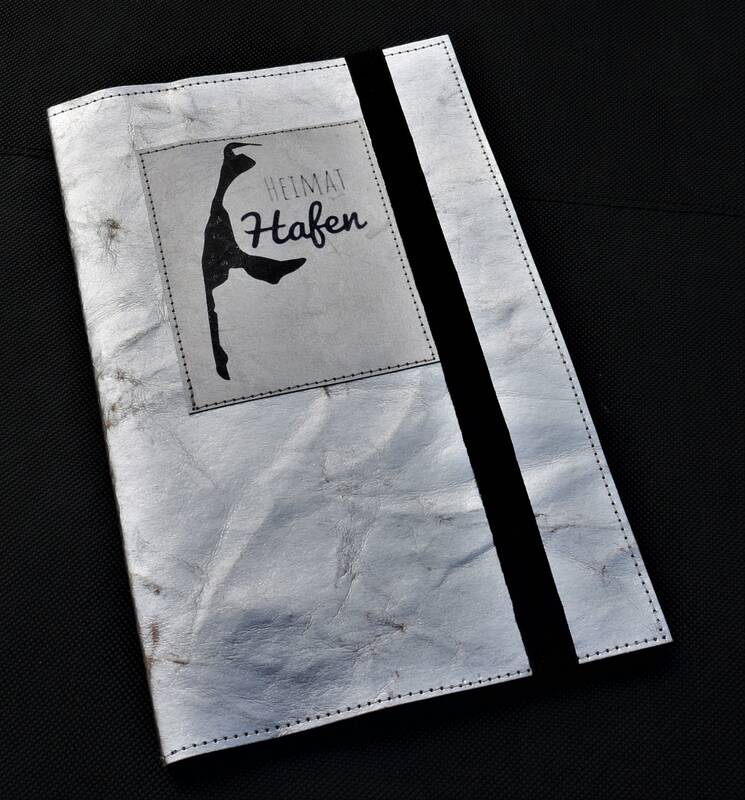 Washing produces the typical fractures and scars that make up the real leather look. 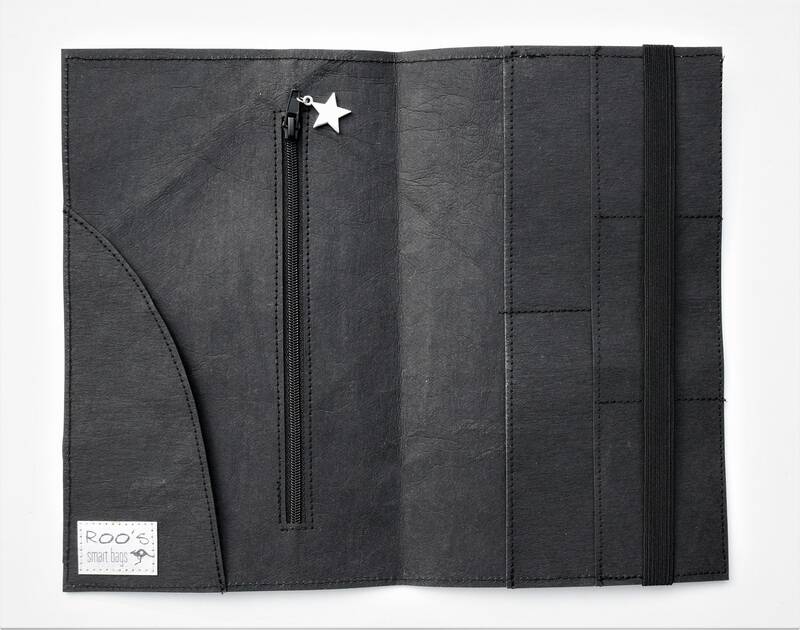 Inside it is made of black washable paper (SNAPPAP). 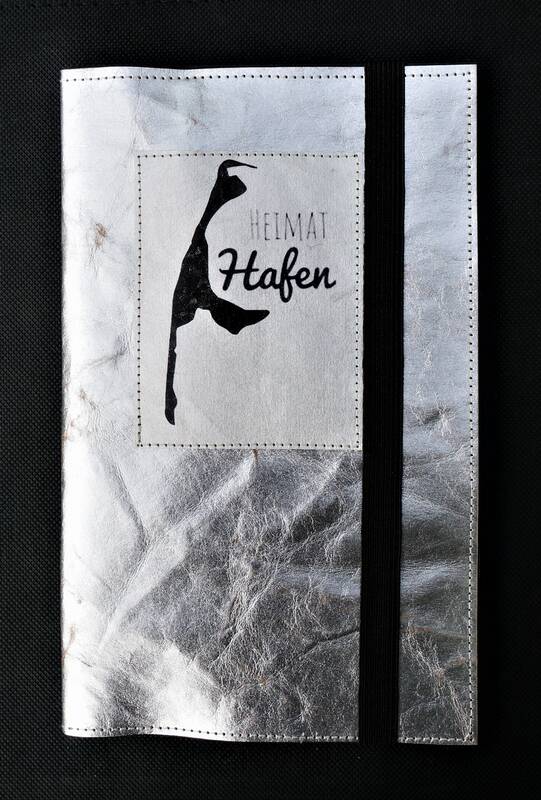 With the label, which is the outline of the island of Sylt and the lettering "home port", the organizer is the perfect gift for all Sylt fans! 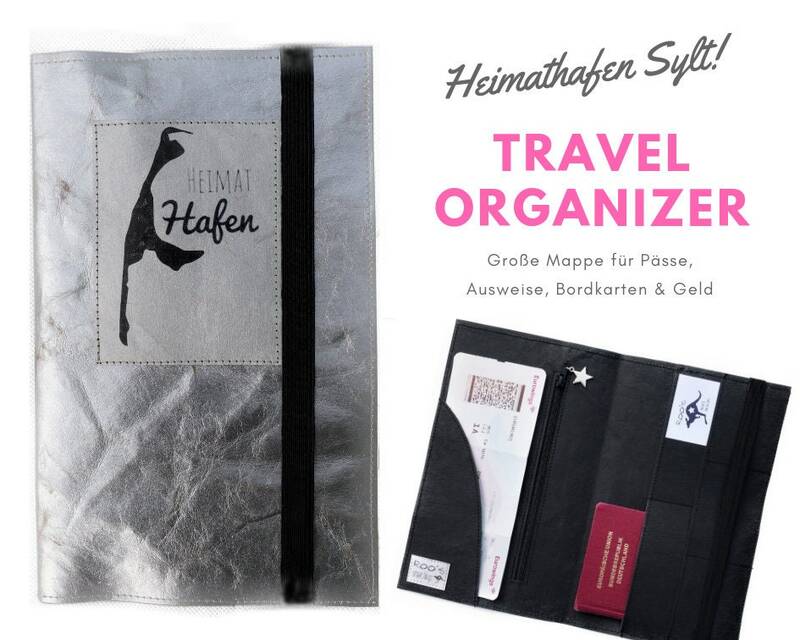 The travel organizer is in closed state 14.5 cm x 24 cm tall, or opened 29 cm x 24 cm in size. In the large field of law there is space for passports and passes. On the left, boarding passes can be stowed or money in the zipper compartment.